A bull fighter watches closely as a bull rider tests his skills at the Cody Night Rodeo. 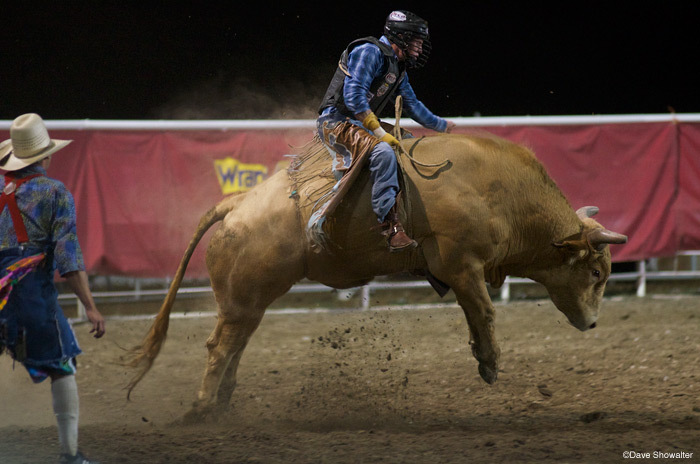 The night rodeo runs every night in summer, part of the cowboy culture in northwest Wyoming. Photo © copyright by Dave Showalter.